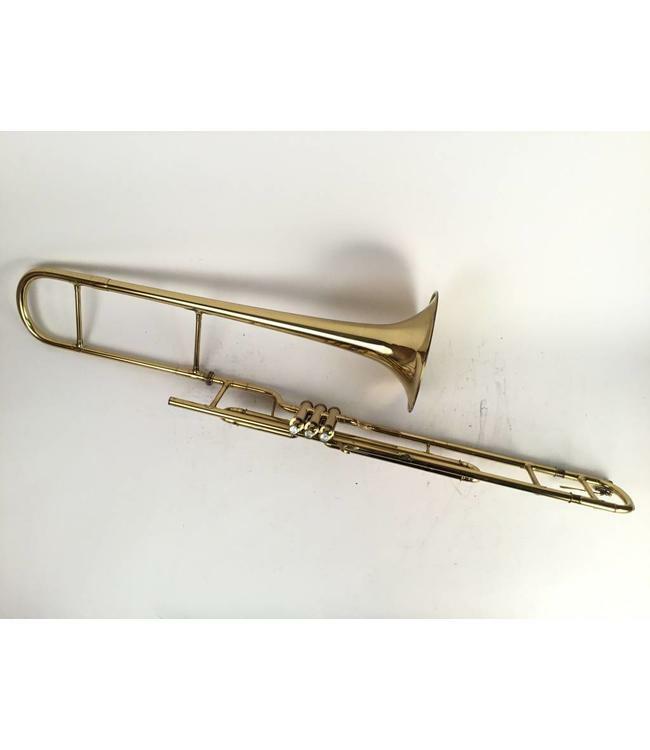 Used Couesnon Bb valve trombone in lacquer. Instrument is in very good condition with evidence of dent repair in bell and surface scratching throughout. Includes 7 7/8" yellow brass bell, .475" bore (small bore) and case.